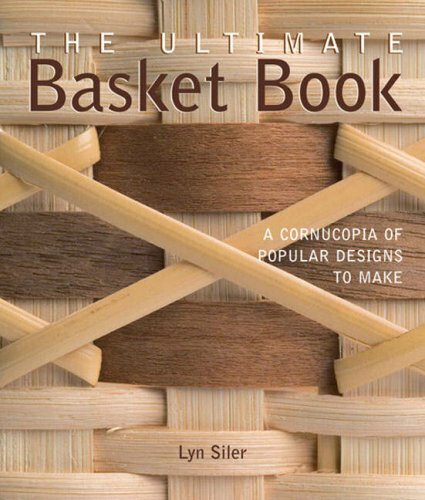 Two of the most celebrated basket-making books - "The Basket Book" 0-8069-6830-3 (277,000 copies sold) and "Handmade Baskets" (69,000) - are now together in one magnificent resource. Better still, it features 10 extra projects and beautiful brand-new colour photography. In this thoroughly illuminating book, Lyn Siler explores tools and materials; introduces all the fundamental techniques - weaving, plaiting, coiling, twining & wailing and provides advice on adding rims, bases and handles. With her help, it's simple to create functional everyday baskets, such as the Twill Weave Market or Double Lidded Picnic baskets, as well as decorative items. If you have any questions about this product by Lark Books, contact us by completing and submitting the form below. If you are looking for a specif part number, please include it with your message.